IF YOU HAVE EVER WRESTLED WITH FINDING YOUR IDENTITY IN CHRIST, THIS WAS THE EPISODE FOR YOU. 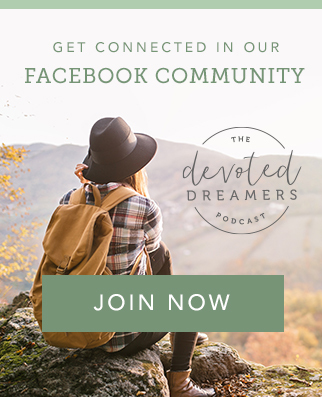 This week I’m sharing a bunch of verses from scripture as proof that this is who we are: Daughters of the Most High King, in the hopes that you’ll be inspired to dig into God’s Word to see for yourself how this truth is reflected there (not because of who we are but because of Who He is). If you don’t believe it right now, that’s okay. But then, once you see it for yourself in His Word, I hope you’ll begin to rehearse it in your own mind (i.e. renew your mind with this truth) and then begin to believe it and live it out and let it be the freedom and hope with which you pursue whatever dream God has placed on your heart to do with your one precious life. Looking for the printable scripture cards I mentioned in this episode? And here’s where you can find the Avery Printable Business Cards I used to print and make cards I can post all over my home, car, bathroom mirror, etc. 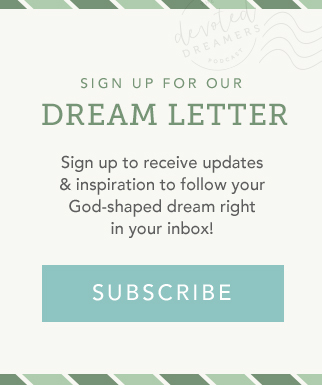 Your contribution helps me continue providing amazing content each week to support listeners, just like you, in taking that next step toward their God-shaped dreams! Join us! HE CALLS YOU BY NAME. YOU ARE HIS. For he chose us in him before the creation of the world to be holy and blameless in his sight. In love he predestined us for adoption to sonship through Jesus Christ, in accordance with his pleasure and will—to the praise of his glorious grace, which he has freely given us in the One he loves. “So he returned home to his father. And while he was still a long way off, his father saw him coming. Filled with love and compassion, he ran to his son, embraced him, and kissed him. 12:05 – reading scripture over you because it’s just so good! 16:00 – how do we read scripture?